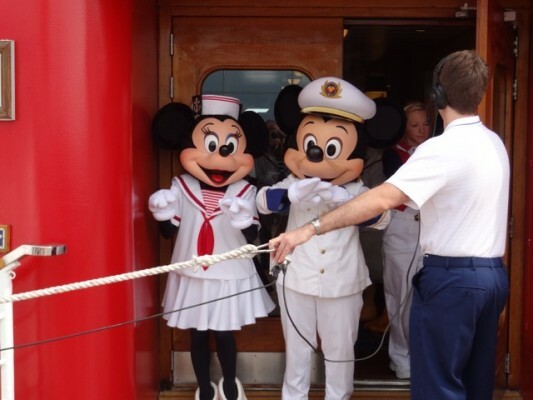 If I’m being honest, my favorite day on board a Disney ship is embarkation day. 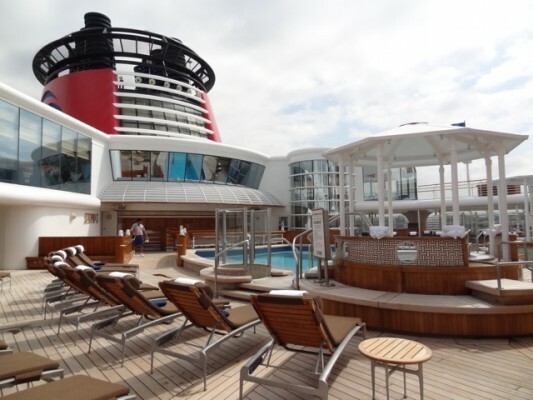 I’m not sure exactly why that is – if it’s the excitement and anticipation of the upcoming cruise, the fact that the ship is all clean and neat after being turned over from the previous cruise, or if it’s just that feeling you get when seeing an old friend again. Perhaps it’s a combination of all three, but whatever it is, I love it. 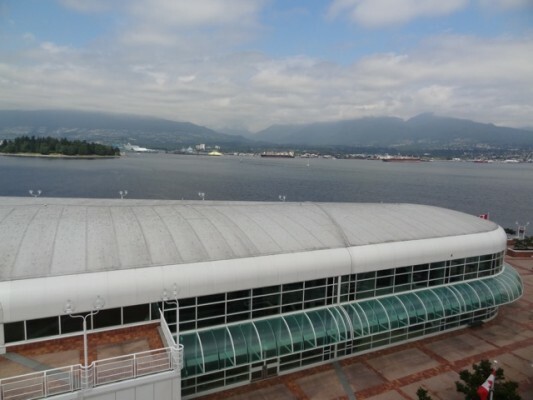 The Port of Vancouver is a popular cruise port, and it’s clear the city has spent real money making it welcoming to guests. 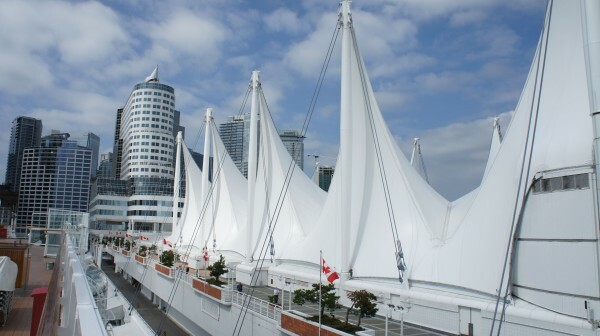 The mock sails over the port building are a nice aesthetic against the backdrop of the city. The immediate area around the port (like much of the trip) is mountainous, and there was a constant flow of sea planes landing and taking off from the harbor as we boarded the ship. 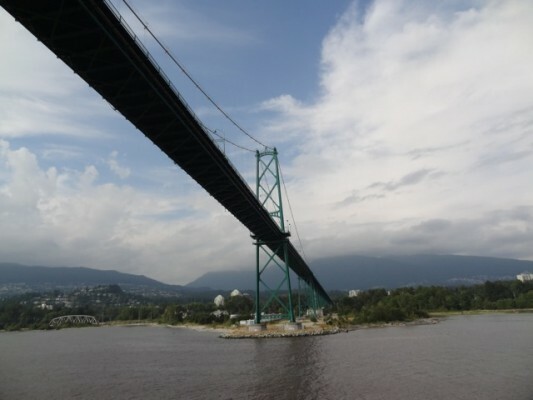 There’s something about the scenery in Vancouver that really sets the tone for this trip. Almost like the start of a symphony that slowly builds to a great crescendo. Even in the few moments after we left port, the surrounding views were breathtaking. 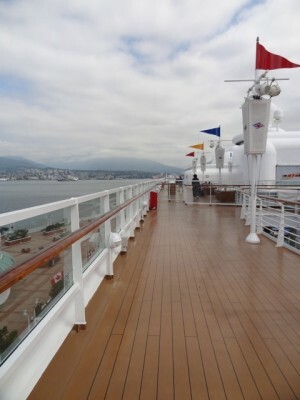 In all my travels onboard DCL, I have never had such an easy embarkation as I did in Vancouver. Our taxi pulled right up to the Port, porters were waiting to take our bags, we walked right through customs, checked in and got our keys, visited the Adventures by Disney desk to check in for our adventure and were on the ship in less than 30 minutes. Disney has this entire process down to a science and it’s one of many reasons I love sailing with them. 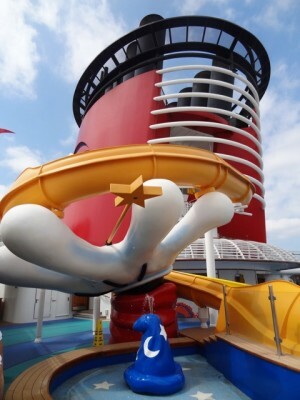 It also helps that we’re Platinum Castaway Club members and get to board the ship first regardless of when we arrive. 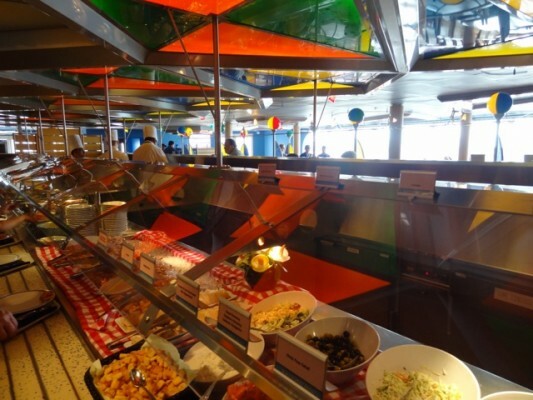 We had our embarkation meal at Beach Blanket Buffet. I’d like to say that the meal was good, the food was fresh and tasty. I’d also like to say that I’m 170 lbs of lean muscle and that I’m worth $400M dollars. 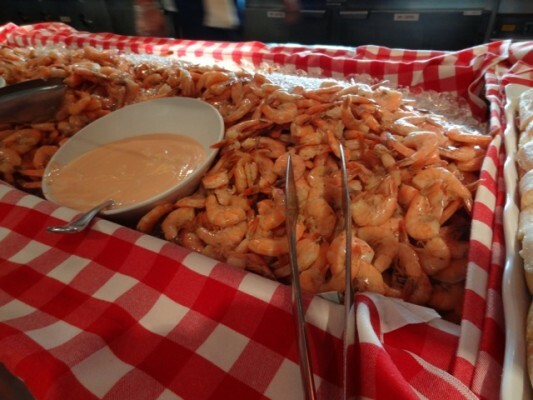 One of these days Disney will have a GOOD embarkation buffet at Beach Blanket – that day, however, was not today. The pictures make the food look far better than it was. 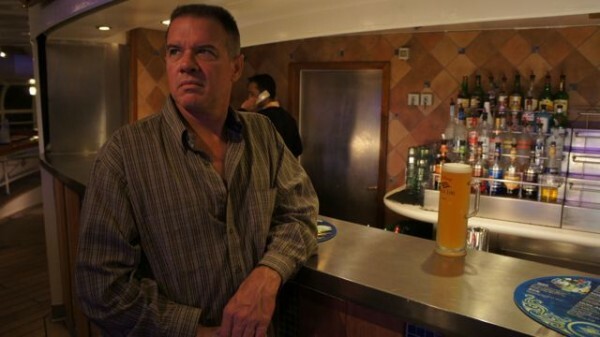 Walter ponders the meaning of beer. 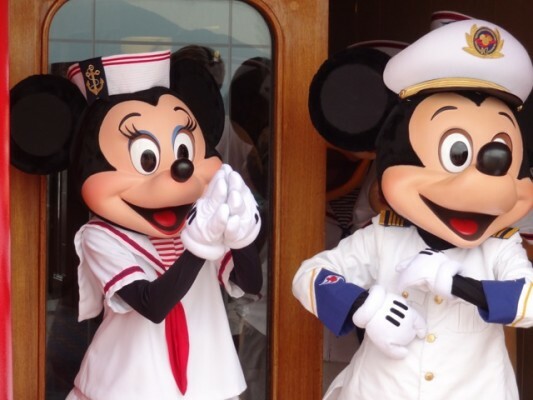 As we were getting ready for the sail away, I was walking around deck 10 and spotted the characters waiting to make their entrance onto the stage. They were initially waiting inside near Vibe, the teen club and for a while I was the only one up there. Eventually of course others gathered around and the characters played to the crowd as they waited to go down the stairs and onto the stage. In particular there was a little girl, no more than 2 or 3, who just lit up when she realized all the characters were waiting inside. I know that this will make some people throw up a little in their mouth (it does for me too), but I’m 46 years old and I still get a little excited when I see the characters. In an effort to not reduce myself to a 250 lb 9 year old girl I rarely indulge that emotion. However, I have to admit that I had a smile from ear to ear while shooting these pictures. I’ve seen the characters a million times, but for whatever reason, this was special. After the sail away party, we headed down to Studio Sea for the Adventures by Disney welcome reception. Our ABD guides for this trip are Landon from Orlando, FL and Korey from Lodi, CA. 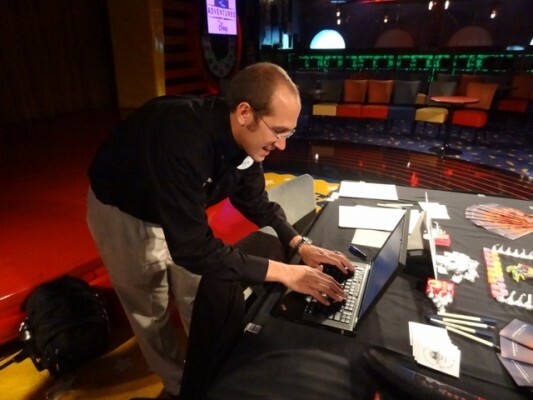 Landon works for the Youth Education Series at WDW when he’s not touring with ABD. Korey runs a surfing school in California in his off season. It turns out that Landon will be one of the guides on our upcoming ABD London/Paris/Disneyland Paris trip. As with all ABD guides, these two have personality and energy to spare and I get the feeling that spending the next week with them is going to be a lot of fun. However, I should point out that I’m not the friendliest person on earth early in the morning, and it’s made considerably worse when I’m surrounded by ‘happy fun guy’ at 7 am. Korey and Landon are both “happy fun guy” types, so we’ll hope for the best (meaning that if neither of them are thrown overboard due to extreme happiness, the trip will be considered a success). The ABD on-board welcome reception usually consists of drinks and hors d’oeuvres and a chance to get introduced to our fellow adventurers. On this particular trip, there were a total of 22 of us, which is a nice size group for a trip like this. 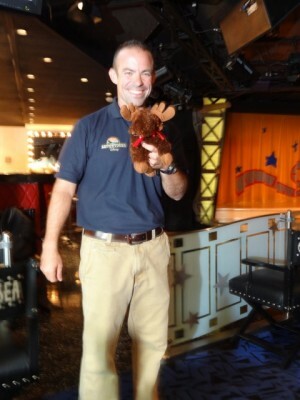 We were also introduced to our ‘third guide’ – Moosey. Moosey is a strange little stuffed animal type bag that holds the days pins. One of the extras you receive on any ABD adventure is a pin commemorating that day’s adventure. These are pins specially designed for ABD and they can’t be purchased or obtained anywhere else. So, we travelled around Alaska with a symbolic representation of a gutted moose with blunt objects stuffed inside. And you wonder why people think I’m a twisted, jaded shell of my former self? 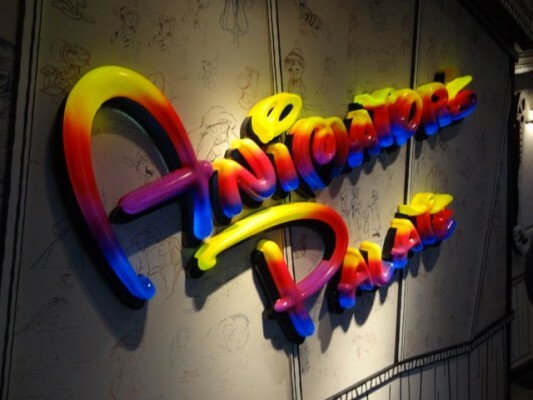 Dinner tonight was at Animator’s Palate. 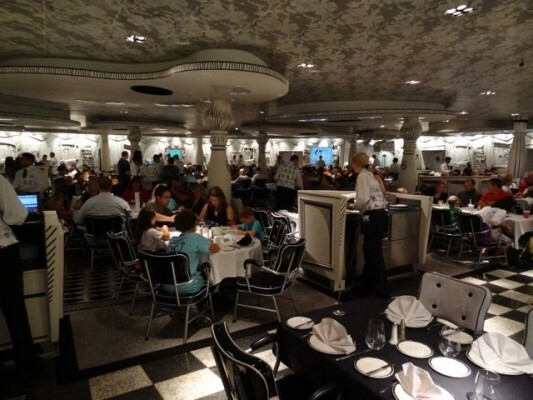 I’ve learned over the years that the embarkation day dinner is usually a good indication of how good the food will be throughout the cruise. I had high hopes because of the unusually good experience we had on the Magic in Europe earlier in the summer. 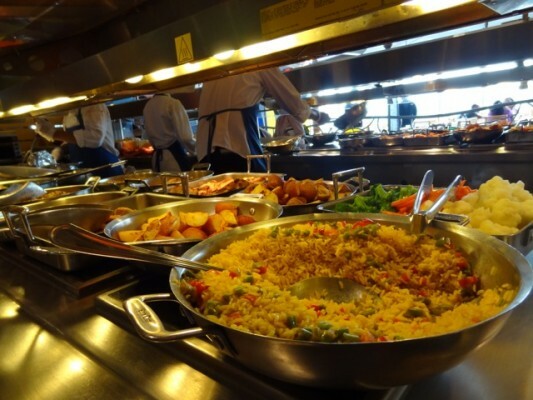 The food on that cruise was the best I’d ever had on Disney Cruise Line. Alas, the food quality decisions didn’t reach the Wonder. I usually order the same dish each night we’re in Animators so I can make a fair ‘apples to apples’ comparison of the food. I usually find the food on board DCL ships to be mediocre at best and this evening’s dinner did nothing to change that impression. This was also our first chance to spend some time with some of the other guests on our ABD adventure. It seems all in our group are rabid Disney fans, many of whom have cruised and/or done an ABD trip in the past. My kind of people! Certainly one of the best parts of any ABD experience is the special bond that is formed among the group throughout the journey. Walter and I have made some wonderful friends this way and continues to be a highlight on each trip we take. We also have some younger adventurers on the trip with us this time, and honestly – it makes these trips 100 times better. There is something about the energy of kids that really invigorates me on an ABD trip. It’s also really cool to see everyone in the group act as look-outs for all the kids. On our Med sailing last month the entire group always knew where each of the kids were. Not that we needed to – as our guides were never more than a few feet away from the kids at all times. Even tonight we could see how both Landon and Korey were developing bonds with the kids. When you think about a Disney difference, this is a great example of it. 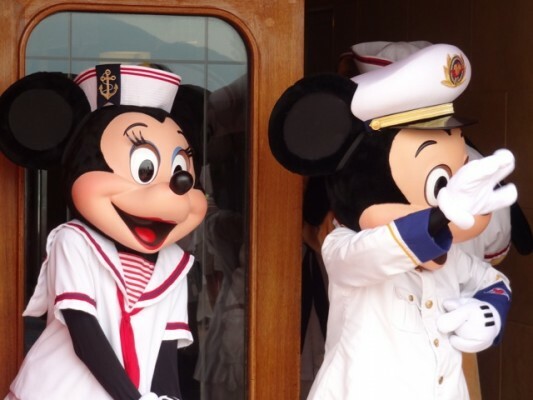 While I don’t have any hard information to support this, I get the impression that Adventures by Disney and Disney Cruise Line aren’t BFF’s. 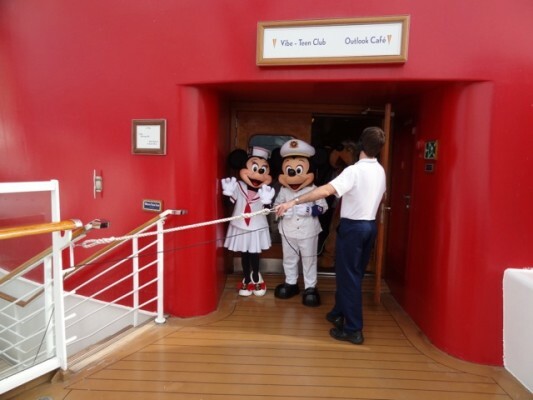 Guides are not permitted to wear their Disney cast member name badges on board, nor are they permitted to eat with us at dinner (the exception here being Palo). They also will not allow us to charge tips for our guides to our onboard account, which is really kind of irritating. You need to either have a few hundred dollars in cash on hand when boarding the ship, or look for an ATM in port during your trip. What makes it particularly strange is that the same man, Karl Holz, is in charge of both products. Again, no one has ever said anything to me, it’s just a vibe I get. I got the same feeling in June when we did the ABD add on for the Mediterranean cruise. One other thing I should mention about this cruise is the Internet. I was warned by others not to bother even buying the Internet package because there are too many days where the Internet is all but unusable. This is due, from what I’m told, to the mountains and that the satellite doesn’t like them because I guess the mountains made fun of the satellite’s mother or something like that. In any event, while I’m writing this blog I’m trying to get the sign in screen to come up and I’m not kidding it’s been 10 minutes – JUST FOR THE SIGN IN SCREEN, and it’s still not up yet. Imagine what it’s like when you’re paying for this by the minute. And if you do buy the package, and then want to go to guest services to complain – don’t waste your time. Apparently everyone on the ship has been programmed at the factory to say “we’re not responsible for the internet, it’s an outside company”. So, in short – don’t bother with internet. Which brings me to my next observation…. I’ve been on board less than 12 hours and I’m going through serious internet withdrawal. I know this because I’ve started rereading old emails just to feel relevant. Oh look, the sign in screen for onboard internet just came up – 20 minutes. This must have been what ‘internet’ was like in the early 1900’s. Fortunately, 3G service (while spotty) has been available since we left Vancouver so I’ll sit in a ball on the floor, hovering over my iPhone trying in vain to type emails with my fat fingers that hit three keys for every letter. 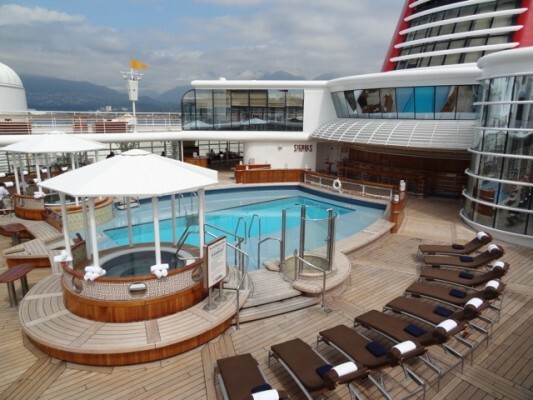 Or, I could just go to bed…..
Next up – our first day at sea –, which of course means SPA DAY!!! !